Today, Lt. Col. Philip Kershner took a detail of about 200 men of the 16th Ohio on a scouting mission.The men went about six miles from their camp at the Mississippi River near Morganza Bend, Louisiana, and set an ambush along a road. They remained there through the night. Apparently, no Rebels were encountered and no action occurred. This period map shows a notional route of a detachment of the 16th Ohio which went out to lay an ambush for the Rebels on June 5, 1864. 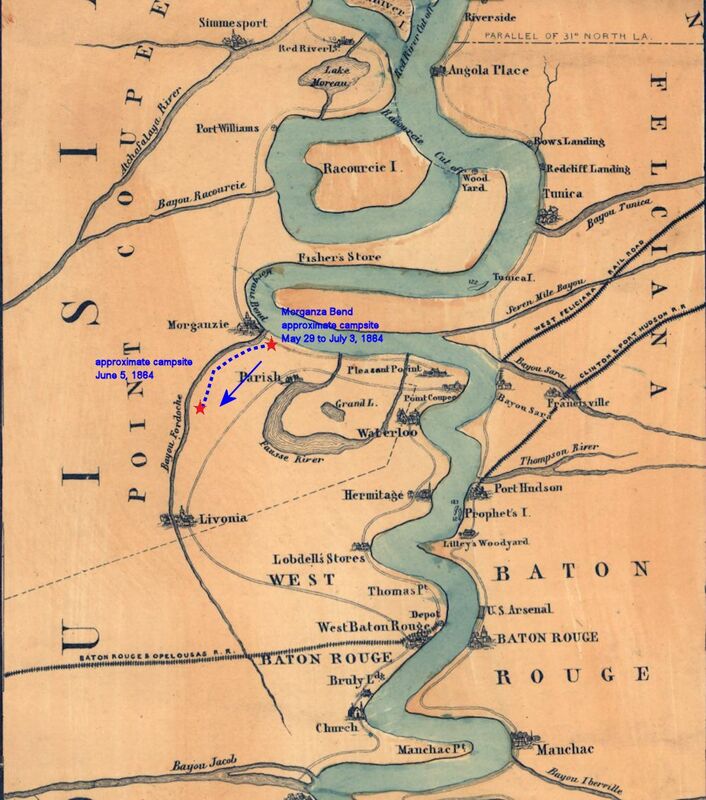 Modern day close view map showing the estimated route and location of a portion of the 16th Ohio on its march from their primary camp at Morganza Bend, Louisiana, to a point several miles away where they lay in ambush for Rebel raiders. 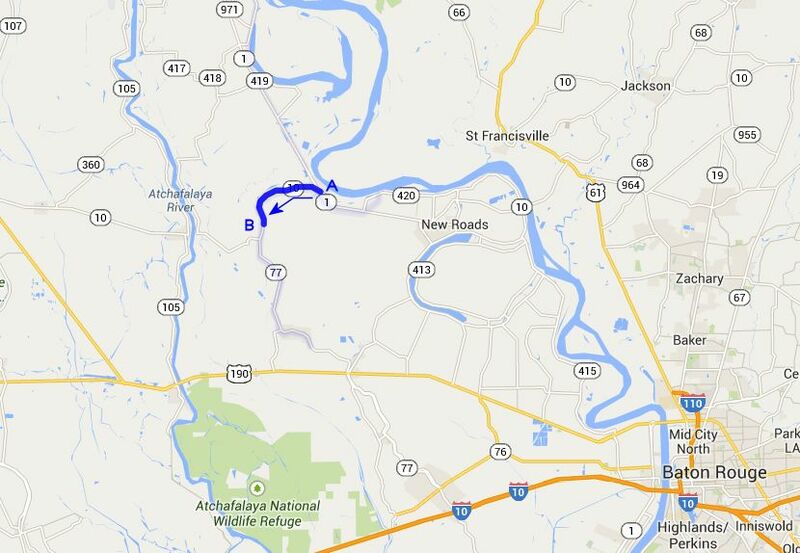 A - Approximate location of the 16th Ohio's primary camp at Morganza Bend, Louisiana. The regiment camped in the spot from May 29 to July 3, 1864. B - Notional location of a detachment of the 16th Ohio where it laid in ambush on June 5 and 6, 1864.